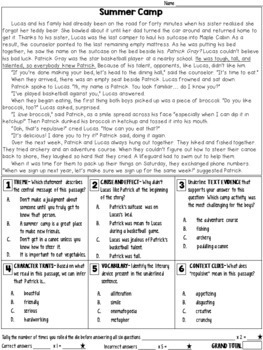 This resource contains 12 fiction reading passages. 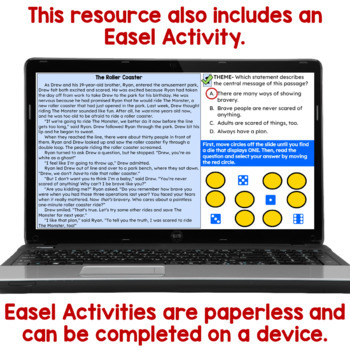 Beneath each passage, there are six multiple choice comprehension questions. 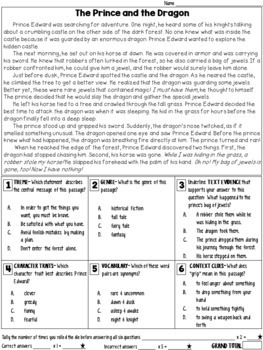 My main purpose for creating these passages was to construct an engaging 3rd grade reading comprehension activity that featured standardized test preparation. I decided that the best way to make it engaging was to add a competitive element where students are striving to earn the winning score. 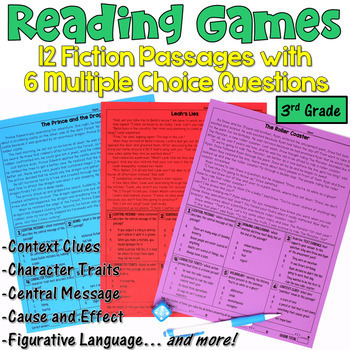 Check out my 3rd grade nonfiction games! I also have games written at a higher reading level. Click here to check them out!